A friend recently asked me to machine quilt a quilt she made for her son for Christmas. 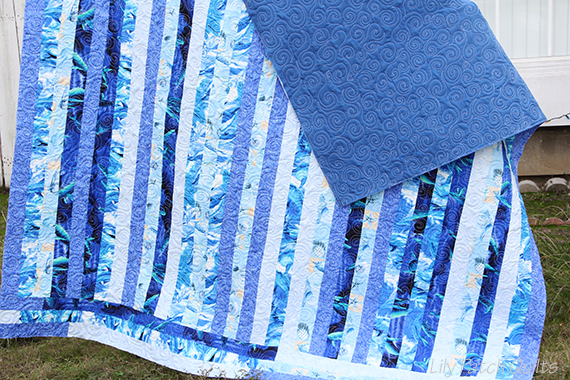 He loves blue and the ocean so she bought various blue prints and cut them into strips and stitched them together. 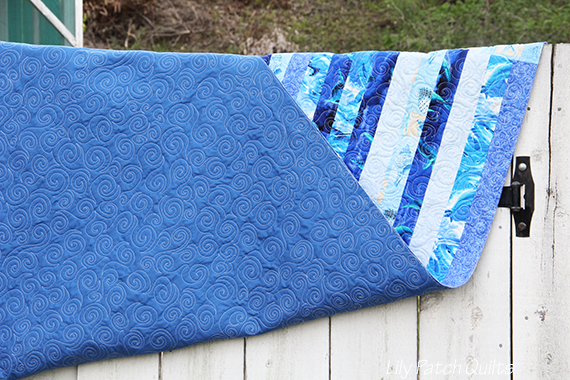 Since the prints have swirls in it I went with a free-motion swirl pattern. The swirls are random sizes after all the ocean waves aren't all the same right? I quickly went outside to take some photos before I had to give the quilt back. 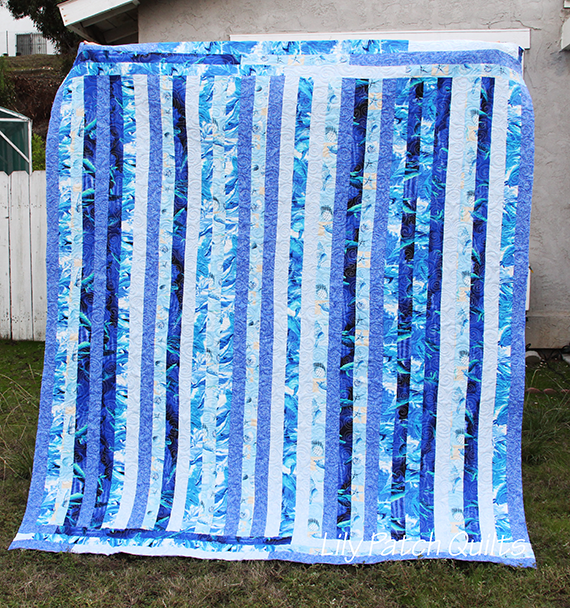 It was tough trying to get the quilting to show up so I just took a bunch and posted them all. 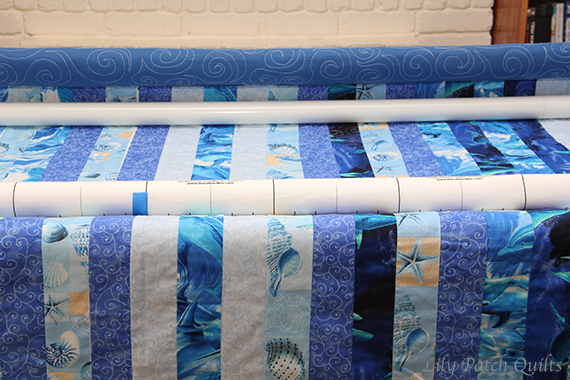 On the top, my friend added some horizontal strips to add some length to the quilt. A couple shots of the swirls from the back. 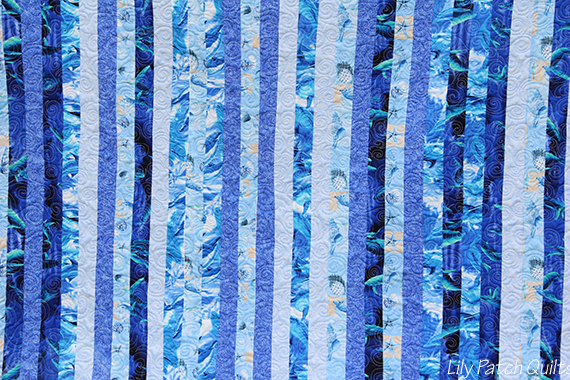 A close-up of the front of the quilt. Looks great Kim! I put my last stitches in my last gift quilt this afternoon. :-) Merry Christmas! Lovely quilt. My favorite colors. 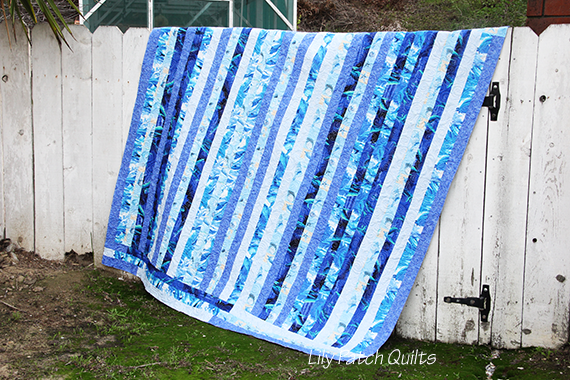 Your quilting is perfect for this one.